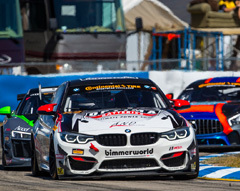 BimmerWorld Racing sits third in the Grand Sport (GS) point standings and second in Street Tuner (ST) as the IMSA Continental Tire SportsCar Challenge series prepares to compete at the Mid-Ohio Sports Car Course this Saturday, May 5, for the first time since 2013. Team owner James Clay of Blacksburg, Va. and his co-driver, Tyler Cooke of Fort Lauderdale, Fla., say it’s too early to think about points, but they’re both optimistic about their chances with their new No. 82 OPTIMA Batteries BMW M4 GT4 at the very technical track in Lexington, Ohio. Nick Galante of Greenfield, Mass. has run at Mid-Ohio in the past, but his co-driver, Devin Jones of Mooresville, N.C., will be making his first start there. 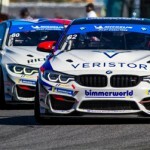 They’re confident BimmerWorld’s past accomplishments at the 2.258-mile, 13-turn road course will help them come up with a good set-up for the team’s ST entry, the No. 81 Veristor/Legistics BMW 328i (F30 chassis). 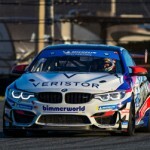 In quizzing the BimmerWorld drivers as they prepare for this race, we learned some of them sing in the cockpit at times, and Clay might have to explain the meaning of the word “buckeye” to his teammates before the first of two practice sessions on Friday. A third practice session will occur on Saturday morning before ST qualifying at 11:10 a.m. and GS qualifying at 11:30 a.m. Fans can enjoy the open-grid fan walk before the two-hour race gets the green flag at 2:20 p.m. 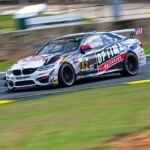 The race will be covered live on imsa.tv, with live timing and scoring at imsa.com. The race will also air on FOX Sports 1 on Saturday, May 12 from 12:30 p.m. to 2:30 p.m. All times are Eastern. When was the last time you raced at Mid-Ohio, and how did it go? 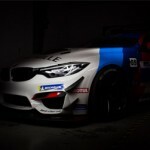 How do you think your new BMW M4 GT4 will like Mid-Ohio? Does being third in the point standings give you added confidence, or is it too early to be counting points? 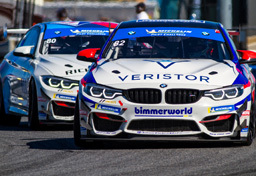 Please tell us a little about the third-place finish you got recently at the Nürburgring and about your plans to run in the 24-hour race there later this month. Mid-Ohio is known as a technical road course. Do you think it’s the most technical one you’ll face this year, or are there others right up there as far as the technical driving it will require? Without looking it up, what is a buckeye? If you don’t know, guess! Have you raced at Mid-Ohio since that event in 2013? Where does Mid-Ohio stand on your list of favorite tracks, and why? Does being third in points give you added confidence going into Mid-Ohio, or is it too early to be counting points? Ohio is the only state to have an official rock song. It’s “Hang on Sloopy,” which could be very appropriate for a race car driver at times. Do you ever sing during a race, and if so, what? When was the last time you raced at Mid-Ohio? What were you in, and how did it go? How do you think your BMW 328i (F30 chassis) will fare there? We’re entering race three of a 10-race series and you and Devin are second in ST. Does this give you added confidence going into Mid-Ohio, or is it too early to be counting points? Mid-Ohio is known as a technical road course. 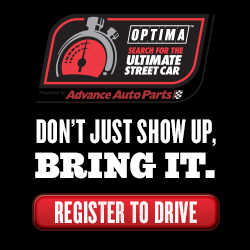 Do you think Mid-Ohio is the most technical road course you’ll face this year, or are there others right up there as far as the technical driving it will require? When was the last time you raced at Mid-Ohio? We’re entering race three of a 10-race series and you and Nick are second in ST. Does this give you added confidence going into Mid-Ohio, or is it too early to be counting points? Do you think Mid-Ohio is the most technical road course you’ll face this year, or are there others right up there as far as the technical driving it will require? Ohio is the only state to have an official rock song. It’s “Hang on Sloopy,” which could be very appropriate for a race car driver at times.